Tom Atchley is a retired social studies teacher, concluding 38 years of teaching in the Redlands Unified School District in June of 2011. He earned his AA degree in history/government from Valley College, San Bernardino and BA degree in history/government from the University of Redlands. In 1975 he earned a MA degree in Pupil Personnel from the University of Redlands. Arriving at Redlands High School from Cope Junior High in 1978, he became the chair of the Finance Committee for Redlands High. For 12 years he was department chair for social studies and then chair of the Advanced Placement Department for his last decade of teaching. He became adviser for the school paper, Hobachi, in 1985 and remained so until retirement. Since local history is a hobby, Tom Atchley was a founding member of the Redlands Area Historical Society, Yucaipa Historical Society and Big Bear Historical Society. Tom Atchley was chosen as President of the Redlands Area Historical Society and has served on the board and leadership positions. Beginning in 1974, he taught the “History of the San Bernardino Valley and Redlands” with Dr. Larry Burgess. He has indexed most of the local newspapers from the 1880’s to 1950’s. Since retirement, Tom has written A Driving Tour of the Mill Creek Zanja and a History of the Mission School District 1853-2012. Tom has completed chapters on early Lugonia, the History of Mill Creek Canyon: Saw Mills, Mining, and early pioneers. Focusing on early Frank Brown, Tom is now writing the history of early Redlands. Early San Bernardino Valley newspapers printed the spring and summer fishing outings in the mountains. Reports of these nimrod adventures began in the 1870s and continued with reports of the opening trout fishing season each May 1. While indexing newspapers the vast numbers on fish caught seemed outlandish or exaggerated. Further research found the numbers reported to be truthful. The San Bernardino Mountain streams and the Santa Ana River were once vast fisheries that extended to the Pacific Ocean. The early pioneers viewed the fishing possibilities as inexhaustible just like the surrounding forests. Development of Mill Creek for irrigation began in 1819 diverting the stream above Greenspot for the Mill Creek Zanja. Redlands Electric Power Co. captured Mill Creek in a 6,000 foot pipeline in 1892. Power House #2 and #3 in 1899 and 1902 captured Mill Creek and Mountain Home Creek drying Mill Creek completely below Forest Home. The Santa Ana River dried below the canyon mouth in 1874 when both the North and South Fork ditches diverted water before the wash. The Bear Valley dam withdrew water from Bear Creek each fall until irrigation was needed. The Bear Valley Irrigation Co. highline of 1891 and Southern California Power Co. in 1897 diverted the Santa Ana River at Bear Creek. Road construction in the canyon led to further deterioration of the fishery. Three different fish hatcheries were opened in Mill Creek beginning in 1913 but all succumbed to winter storms by 1965. State Fish and Game required Edison Power Co. to allow Mountain Home Creek to flow from Mountain Home Village. Power house #2 discontinued. Alders, willows, sycamores and other riparian plants now extend to the bridge on Highway 38.
in the canyon. Fishing in Mill Creek today is illusory even with Mountain Home Creek flow. Newspapers in the San Bernardino Valley commonly reported fishing expeditions to the nearby streams and reported successful “fish stories” for the public throughout our early history. The San Bernardino Guardian reported several hunting and fishing trips in 1867 up the Santa Ana Canyon that brought back a wagon load of fish and eight deer. Fisherman caught 140 trout on the south fork of the Santa Ana in October 1870 above the Knight shingle-mill. Most of the fish were four-pounders. John Skinner caught a 16 pound trout on a quid of tobacco in Mountain Home creek in 1893. The most remarkable story that appeared in the Redlands 1890 Citrograph reported five men fishing below the Bear Valley dam on Bear Creek caught 685 trout in a morning adventure. The San Bernardino Guardian in 1871 boasted that Fisherman along the South Fork of the Santa Ana caught 90 trout on the opening day of the season. In three days two men caught 350 trout fishing only in the mornings and evenings. To motivate fisherman to visit Seven Oaks, Matthew Lewis raised trout in pools along the banks of the upper Santa Ana River and stocked the stream. Charlie Martin, a Mill Creek and Santa Ana pioneer, provided testimony in a water suit mentioning fishing at the junction of Bear Creek and Santa Ana River in 1875. In 1883, Lester Shaw Jenks realized the failed flume-lumber and log pond he built with two others could be used to raise fish for sale and haul fresh fish to the local restaurants and markets in San Bernardino and Redlands. He covered the ditch that supplied water to his lake with large wood shakes and found the fish would naturally spawn in the artificial stream. Jenks built a cabin on the north side of the pond and did a lively business for a few years. The completion of the Big Bear dam in 1884 proved to be too great a competitor. The Isaak Walton Club, a fishing and forest conservation group, lobbied successfully to stop commercial fishing on government national forests. Jenks was also informed he could not dam the water since the Bear Valley Irrigation Company claimed the water since 1881. In the 1882 Tolles vs. Jenks, William R. Tolles, a Lugonia 1874 pioneer, representing the Sunnyside Ditch Company sued Lester Shaw Jenks over his diversion of Santa Ana water to Jenks Lake. Jenks won that case but lost to the new state law. James A. Boyd was the first to begin regular stocking operations in the eastern San Bernardino Mountains. He was the road master of Riverside in 1884. On May 23, 1884 he ventured into Mill Creek Canyon to scout practical routes to haul supplies to the Bear Valley dam site. Before reaching Thurman’s he crossed the stream nine times with still very high water. Sylvanus Thurman joined Boyd on the trip to Seven Oaks and Bear Valley. The flood destroyed the fish ponds at Seven Oaks and the river was still 132 feet wide. He arrived at the dam to see 40,000 inches flowing from the dam narrows where the year previously only 500 inches had flowed. James Boyd returned to Bear Valley in July 1884 to camp with his family along Baldwin Lake and bring cement and other supplies for dam construction. His route was the rough Cushenberry Grade from Lucerne Valley. Boyd came to California is 1867 and found his way to Riverside in 1872. He purchased two large wagons pulled by four-horse teams and went into the freight business. His freight service took him to the desert mines and hauling lumber from the mountains. Lucky Baldwin hired him to haul the heavy stamp-mill equipment to his holdings near Gold Mountain. Frank Brown hired him to haul cement, tools, food, derricks, and kitchen items to the dam site in both 1883 and 1884. These freight service contracts brought Boyd into contact with the mountains and his fishing addiction lured him back to the lake regularly. In 1887, Boyd returned with 4,000 Lake Tahoe trout packed in metal tubs splashing along the steep road. The water company undoubtedly paid Boyd for his stocking. The company also forbade fishing in the lake for two years to allow the fish to grow and propagate. Bear Valley reservoir nearly turned to become a private lake when Herbert H. Garstin wrote William Medland the Bear Valley Mutual Water Co. receiver warning the State Fish and Game and James H. Boyd that planting 100,000 fingerling trout would be construed as a “waiver of rights in the future.” The State informed the Bear Valley Co. that the company could not charge fisherman on the lake or shore. By 1916 a compromise was reached that allowed the Bear Valley Development Co. the right to charge for boats on the lake but no fee for fishing. Lake Arrowhead followed another course and became private for boats and fishing. Big Bear Lake surface is now owned by Big Bear City and they also charge for boats. James Boyd became the postmaster of San Bernardino from 1894-1898 and continued to stock Mill Creek and the Santa Ana each spring. William H. Boyd, leased Seven Oaks in 1888 and likely paid James Boyd to continue the stocking. Peter Forsee, John Skinner and later George Tyler did the same for Mill Creek and Mountain Home Creek. Boyd recorded planting 120,000 trout in 1905 and 100,000 for just Bear Valley in 1907. Boyd displayed his fruit propagation in Riverside by winning recognition for his dried peaches at the 1878 Riverside fruit fair. His freight business, road overseer duties and fruit farming connected him to the heart of Riverside. In 1921, the Western Historical Association asked him to write the history of Riverside. A three-volume History of San Bernardino and Riverside Counties by John Brown Jr. and James Boyd was published in 1922 by The Lewis Publishing Company. James Boyd was the 1872 pioneer of Riverside that planted the Eucalyptus trees that line Magnolia Avenue. His own autobiography never mentions his interest in fish stocking. The Citrograph teased local fisherman in July 1892 reporting that three boys fishing along Bear Creek caught 592 trout in three hours. This broke the 1890 record of five men fishing along Bear Creek. The abundance of fish brought unsavory fishing tactics to the mountain streams. Men floated small rafts on Slide Lake and Big Bear Lake that had long fuses attached to dynamite. The blast stunned the fish and were then netted and hauled to local markets and restaurants for consumption. County Supervisors ordered county sheriffs to arrest and fine the illegal fisherman. Fisherman rules included the fifty fish per day limit obtained only with hook and line. The creation of the San Bernardino National Forest Reserve February 25, 1893 did not address the poaching or fishing problem since no rangers were hired for protection. Illegal fishing tactics continued past 1905 even though Forest Rangers were designated fish and game wardens by the county. P. M. LeSage was acquitted for dynamiting fish in Bear Valley in 1911. Juries consisted of men that refused to convict anyone for fishing despite their tactics. Fred Herrmann and A. Worley caught 175 fish on Bear Creek below Slide Lake in 1911. A fishing limit of 50 per day was established by the County Board of Supervisors in 1912 and later amended to a limit of 10 pounds of rainbows per day. Los Angeles County game wardens inspected Bear Creek and the Santa Ana River in 1903 and found evidence of dynamiting trout using a beer bottle and lime method. Filling a bottle with dry lime and then water with a cork would produce an explosion in a stream pool and kill all the fish. Mrs. Mai Henry, co-owner of the Bear Valley Hotel, was arrested in 1905 delivering 215 pickled trout to Victor according to the San Bernardino County Sun November 15, 1905. The creation of the California Fish and Game came too late to protect the vanishing Grizzly bears, black bears and antelopes of Southern California. One of the first regulations the State passed was to limit daily fishing to 50 per day. The State Fish and Game were also instructed to forbid the sale of hides or meat of deer, elk, antelope, or mountain sheep. These were the first regulations applying to the mountains. Illegal hunting remained rampant with Gus Knight, John Metcalf, Hiram Clark, Peter Forsee, Will McHaney, Frederick Schneider, Matthew Lewis and Charlie Martin, “self-appointed lords of the forest” fishing and hunting all year long with no regard for fish and game wardens. Ironically, several of these men became the first appointed rangers for the Forest Service. James Boyd persisted in getting the San Bernardino County Board of Supervisors to buy 120,000 trout for mountain streams in 1905 and succeeded. He did the same in 1908 and planted 160,000 fingerling trout. His large wagons carried the tiny trout to the end of existing roads and then he transferred the trout onto burros with specially made kayaks. His hired men sprinkled the trout from the headwaters of steams to the 3,000 foot level. One load of 75,000 trout in 1908 came from the State Fish hatchery. Another November 1908 planting had Loch Leven, Eastern Brook, Rainbow and Steelhead. Richard Stetson had the responsibility to place 4,000 in Mill Creek. George Rourke hauled his load to Bear Valley. Ed Brazleton rode the long distance to the upper Santa Ana releasing 4,000 mixed trout that were two inches long. His first release was at South Fork. The turn of the century plantings were the first to name specific types of trout. Early plants by James Boyd were mostly German Browns that seemed to do well in the San Bernardino Mountain streams. Today, modern biologists believe that at one time the Santa Ana River watershed had a natural species of steelhead trout. Unfortunately the early newspaper accounts don’t specify types of trout until the turn of the century. The character of Mill Creek and the Santa Ana River has changed considerably over the years. The Santa Ana River was claimed by farmers of the Timber Ditch and City Creek Ditch in the 1850’s. Over several decades the ditch divide in what became the North Fork and South Fork ditches came to the mouth of the river by 1877. This higher division cut off water for most of the year to the river bed west of the river’s entry into the valley. Trees slowly died off and the once well-wooded river became a boulder-strewn wash with only water in the early spring melt. The Santa Ana became further developed with the building of the Bear Valley dam in 1884. Water was released from the reservoir for irrigation in the summer months. The dam surely impacted the trout habitat of Bear Creek. The construction of the 1891 highline flume by the Bear Valley Irrigation Company impacted the Santa Ana River from the junction of Bear Creek and the Santa Ana. The flume directed irrigation water from the natural stream bed into a wooden flume and numerous tunnels, so water could gravity flow to the San Jacinto Valley. A road built up the Santa Ana Canyon to provide access for construction gangs brought additional fishermen that quickly reduced the natural trout population along with the reduced water flow. The Santa Ana was further damaged when the Southern California Power Company constructed a flume beginning at the junction with Bear Creek taking the flow of the river to produce hydro-electric power in power house No. 1 near Keller Creek. The 1897 power company road was built to allow heavy wagons to haul huge generators for the new power plants. Another six mile section of the river became devoid of trout. Lower Mill Creek from Greenspot west became impacted in 1819 with the diversion of the Mill Creek Zanja. Irrigation water was diverted through a cut in the south wall of Mill Creek and diverted with a 30 yard long four-foot dam. Slowly the area west of the diversion became less of a green spot and the towering cottonwoods, alders, sycamores and willows died. Water from Mill Creek only made it to the Santa Ana River during flood stages or spring melts. The Redlands Electric Light and Power Company established their power house #1 in 1892. The company built a 6,000 foot pipe line and captured Mill Creek near the present Highway 38 bridge crossing. The power house began producing electricity in 1893 and piped the exit water across the empty Mill Creek bed to the Mill Creek Zanja. Hydo-electric power proved a real boon to development in the San Bernardino Valley. Union Ice Company built a huge ice plant using Mill Creek power in 1893. The power company then built power house number 2 and 3 at the mouth of Mill Creek in 1898 and 1903. Mill Creek water is captured in a flume below Forest Home that traverses Yucaipa Ridge and then falls some 700 feet to the generators of power house two and three and then piped to the 1892 power house one. Two other pipe lines divert the water of Monkey Face Creek and Mountain Home Creek into the flume system to the power houses. During the drought of 1898-1903 the Crafton Water Company drilled two wells in the Mill Creek wash. One is located near the old dump site and the other just inside the entrance of the canyon. While the wells pump the underground water of Mill Creek they do impact the flow of springs below their sites. The habitat of the trout streams changed markedly with less water. Trees that shaded the water and kept it cool disappeared with summer thunder showers and winter floods. A boulder-strewn wash was all that remained. Fisherman lamented progress that ended their customary camping and fishing trips to Mill Creek and the Santa Ana River. The building of good roads into the mountains led to more camping outings and the desire to fish in the mountain streams as they always had. The Forest Home Outing Company organized in 1905. The businessman purchased the 160 acre Thomas Akers homestead and wanted camping with all the modern amenities including tennis, croquet, tent cabins, eating and dancing pavilion, summer orchestra and fishing. Cyrus Baldwin, a Forest Home owner, wanted to bring hydro-electric power. Frank Culver, Forest Home manager, wanted to build a small lake for boating and fishing on the north side of Mill Creek. He began building a trout pool in the summer of 1910. He located a spring with cold water and began digging. The company intended to grow, transport and market fish, frogs, elk and other wild animals, birds and fowl, domestic animals and acquire real estate and water rights. N. Hartford planned to open his resort east of Forest Home called Cedar Lodge to take advantage of the new fish hatchery grounds. Fishing enthusiasts were excited to learn from the Redlands Review March 24, 1914 that one million fish eggs were hatching. General manager of Pine Springs, Charles Scott, expected further improvements of the fishing ponds before the season opening May 1. Forest Home was managed by Foster Ingalls and Frank Culver Jr. for the 1915 season. They expected a real rush on the resort because of the new fish hatchery and placed maple on the Forest Home dancing floor, built a new garage, built a store and convinced the postal service to open an office for the summer season. The trout hatchery now had one and a half million trout and a dining room that could serve 150. The Harry Beal stage met vacationers three times a week at 11:30 a.m. and left from the Santa Fe Depot in Redlands arriving at Forest Home by 12:45. Two trips were made on Saturday to accommodate guests but no Sunday trips were made. Ads emphasized that Forest Home or Pine Springs were not sanitariums and tourists with coughs were not allowed. Forest Home had 3,000 guests for the 1915 camping season. January 1916 brought a devastating flood to the San Bernardino Mountains and valley. Charles Scott lost 800,000 trout during the flood worth $50,000. Scott went to Los Angeles and met with the concerned owners there. By the end of the day he ordered 500,000 eggs from a Utah hatchery. Since the road up Mill Creek was washed out at every stream crossing burros came up the canyon to deliver the eggs. Much of the Pine Springs Fish Company land was covered in sand and mud. The interim period of ordering the eggs was spent digging out the ponds and dredging the fly-fishing lake. Concrete work for the pools was postponed in February when the temperature was too cold for the work. Another meeting of the directors took place in February with Dr. Evangeline Jordan, William Neff, the president of the company, and C. Bascom Howell, all of Los Angeles, joined by George F. Humphrey of Mentone. A car dropped the party off at Mill Creek power house #3 with all the party walking the trail and Dr. Jordan riding a burro up the trail. Damage was mostly caused by Lost Creek which is now called Hatchery Creek. Charles Scott had saved 75,000 trout. A concrete wall was proposed to alleviate further storm damage. In March, the Redlands Review interview with W. E. Crosby, one of the new directors, said that 4,000 trout ranging in size for seven to ten inches were shipped to Los Angeles hotels. The fish were packed on burros to power house #1 and then transported to Mentone to catch the morning train. One burro stumbled in the swift creek and all 250 fish were lost. Pine Springs Hatchery Company received the Redlands Chamber of Commerce endorsement in August 1916. The Hatchery Committee was composed of Dr. W. P. Burke, Herbert Hubbard, Arron Leipsic and R. O. Bonnell. The committee was impressed with the company financial situation and noted the great number of trout sold in Los Angeles, Riverside, Pasadena, Ontario and Redlands. There were no hatcheries to complete with Pine Springs in Southern California. Pine Springs had 40,000 marketable fish worth about $6,000. The hatchery expected to reach 1,000,000 capacity in two years. The plant cost $22,000 but needed $1,500 to complete the dredging and build a retaining wall. The estimated cost to operate the plant for two years was $8,500. Several Redlands men decided to invest. Pine Springs Trout Hatchery was shipping 3,000 trout weekly to Los Angeles and Pasadena hotels in 1919. San Diego and Santa Barbara each signed a contract for a 1,000 trout weekly. With 500,000 marketable trout the company was making money and poised to make more when a better highway led to Forest Home. This economic boom attracted competition and the Rainbow Angling Club opened a fish hatchery above Greenspot. Henry Robbins is listed as the Forest Home Preserve owner and superintendent in 1921. He had twenty-five years of hatchery experience. The preserve was converted to a club with 140 members among them Redlands mayor Allen Wheaton, City councilmen William L. Thornquest, Thomas N. Gibson and David G. MacDonald. Only Rainbow and Eastern Brook trout inhabited the pools and lake. Robbins believed these species give the best fight for the sportsman. Fourteen ponds with a water temperature of 46 to 52 degrees brought the fish to size quickly. Twenty troughs of galvanized iron could reach a capacity of 1,200,000 eggs. Fireplaces dotted the ten-acre grounds and sportsman could catch and prepare their meals in the shade of alders, oaks and sycamores. The preserve was valued at $80,000. Robbins advocated the “barbless hook” so fish escaping the angler could heal and not tear its mouth on the hook. Robbins hosted the William Fox Company that filmed a stagecoach hold-up at the hatchery. “Freedom of the stream” was granted with the payment of $25 annual fee. This entitled a man and his son to fish the entire year. Otherwise twenty-five trout could be caught for $8.00 and no charge for fish under seven inches. A paved highway was completed in 1925 to Forest Home and Valley of the Falls. The mile-high hatchery sold fish commercially and memberships in the preserve proved popular. In April 1925, Robbins erected a special cleaning house which allowed for expert fish cleaning and a full supply of fishing rods, flies, bait and other fishing paraphernalia. Membership in the club stood at 200. Torrey’s Camp opened east of the Forest Home Outing Company land adding yet further vacationers to the hatchery pools. The Great Depression proved a fatal blow to the private trout preserve. Families could no longer afford the vacation time in Forest Home or the preserve annual fee. Restaurants switched menus to lower cost food options. The State Fish and Game Commission signed a three year lease on the Robbins hatchery in August 1932. Robbins sold 1,500,000 trout which the state planned to plant throughout Southern California. Dorrence Clanton formally announced the closing of the private trout ranch and sent 100,000 large trout to Big Bear, Santa Ana River, Deep Creek, Lytle Creek and other streams in the area. The State Fish and Game Commission decided in July 1935 to act on their three year option and purchase the Forest Home hatchery. Redlands City engineer George Hinckley and County Supervisor J. H. Porch with Redlands Councilman Charles A. Maccubbin informed the State Commission about the water rights of Mill Creek. Mill Creek was owned by the Crafton Water Co. and the City of Redlands. Fish at Forest Home were fed 600,000 pounds of hearts and livers each year. Pollution of Mill Creek was a major concern for the city. The State Commission planned to enlarge the hatchery. An adequate filter plant, installed to purify the water that returned to Mill Creek, would satisfy Redlands. March 3, 1938 brought the hatchery to an end forever. Snowfall for the winter of 1938 was even greater than 1884 and second only to the great flood of 1862. The snow was extraordinarily deep when a warm rain swept across the mountains and melted the snow to form a raging river down Mill Creek. Nothing remained of the fish hatchery which the state did enlarge to hatch 2,000,000 trout. All the ponds, lake and buildings joined cabins, trees and huge boulders that tumbled down the stream that removed every bridge that crossed Mill Creek and covered or removed vast sections of Highway 38. CCC crews eventually used the University Truck Trail to Oak Glen to connect Mill Creek to the remaining parts of the southland. Mountain Home Creek destroyed many cabins that were built too close to the usual tranquil stream. Every tributary bridge along Mountain Home Creek was gone. The destruction of the Forest Home State Game and Fish Commission hatchery prompted letters of protest from Redlanders that opposed the rebuilding of all three hatcheries on Mill Creek. Redlands City Council was deluged by women of the Contemporary Club to keep Forest Home, Dolly Varden and the Rainbow Angling Club closed. Mrs. C. S. Lombard, representing the Contemporary Club, spoke to the council and complained of “detecting a fishy smell in the water.” The complaints urged Redlands Mayor Bruggenmeyer, Councilman Maurice Clapp, engineer George Hinckley and two WPA officials to inspect the filter plant. No decision was made at this time. By November of 1919, Garnsey built a hatching house 40 x 50 feet and a five-room cottage for the family that would manage the hatchery. He built a series of trout ponds from the Edison reservoir and chose to build close to a eucalyptus grove. Garnsey moved to Redlands Heights and bought a beautiful home at 451 Summit Avenue called “Summit Point’ for its view of the Ocean to Ocean Highway (Redlands Blvd.) and the Yucaipa Canyon eastward. (Ford Street and Int. 10 Freeway) Garnsey expected to sell trout to Los Angeles and Pasadena restaurants for thirty cents apiece. The Redlands Daily Facts was quick to praise the Rainbow Ranch in an October 23, 1920 article. The article gave a short history of Garnsey as President of the Garnsey Investment Company of Los Angeles. Garnsey experimented in fish propagation in a pool in his Los Angeles backyard. He joined the Welch Trout Company to further his studies. The Rainbow Ranch location received 15,000 gallons of water every minute from the Power House whose pipeline stretched to Power House 2 and 3. The fish were fed every other day ocean food. Sand crabs, white sea bass and sardines and no slaughter house refuse. This point received praise from the water users in Redlands. Noxon was the assistant manager of Rainbow Ranch. Noxon, a fish culturist, had experience from hatcheries in Colorado and the California Fish and Game Commission. Noxon perfected the salmon egg bait used by fishermen. One large pool 125 x 165 feet contained 300,000 Eastern Brook trout. This species was considered difficult to brood but with the expertise of Noxon the fish were growing quickly. Only seven miles from Redlands, fishermen ventured to the Rainbow Ranch for short family outings. The road to the ranch was not subject to flooding like Pine Springs nor was the elevation a problem for automobiles. No overheating radiator issue was an advantage. From 1920 for decades the Rainbow Ranch became the dinner destination for the Mentone Chamber of Commerce, Mentone Women’s Club, Crafton Women’s Club, Redlands Rotary, Kiwanis, Lions and Boy Scouts. The popular destination was more than a hatchery, although children and adults were fascinated by the fins rheumatically swishing in the fast moving water. Fisherman skunked at Jenks Lake or Big Bear Lake could bag a trophy fish without anyone becoming the wiser. Expansion of Rainbow Ranch Angling Club was announced in August of 1924. Garnsey knew plans were afoot to pave Mill Creek Road to Forest Home and this would eliminate the last undesirable namely clouds of dust. His plans included $100,000 of improvements. He hired Davis Donald, a very popular building contractor in Redlands, to build a lodge and twelve bungalows. J. N. Thorpe and H. M Parker of Los Angeles were in charge of the expansion. The club incorporated and memberships were sold at $60 each. The club bought the eucalyptus grove just southwest of the hatchery from William P. McIntosh. Bungalows would each have a stone fireplace, complete bathroom, and garage. Thorpe was owner of Thorpe Engraving Company of Los Angeles and Parker was manager of the Hollywood Country Club. Both men were touted for experience in resort development. A quarter-mile stream filled with fish would lead to the eucalyptus grove and lodge. Garrett Huizing, a landscape architect hobbyist, built a fisherman’s paradise at the Rainbow Club. He used twisted pine limbs for walkway fences, cedars for porch support columns, rustic furniture to adorn the lodge and each rustic bridge reminded the picadors of a mountain log crossing a wild stream. Seventeen barbecue enclaves were interspersed along the stream to provide private picnic settings. The stream itself was fashioned by L. W. Gist, a cement and brick contractor, from Redlands. Gist used the uneven land surface to fashion a twisting stream with waterfalls and a stream with fast water and occasional pools. Huizing followed planting native trees to shade the stream and give the land plant variety. Rainbow Angling Club had 1,000 members by the end of 1925. Garnsey fish, as they were called, became part of California cuisine. When Charles Lindbergh was entertained at the Ambassador Hotel the banquet hall dispatched a truck to purchase 1450 trout from the Rainbow Ranch. The Arrowhead Hot Springs Hotel, Casa Loma Hotel, Mission Inn, Gilman Hotel, Santa Barbara Inn and other famous resorts exclusively served on Rainbow Ranch trout. Club membership counted 1,200 in 1927 and other competitors were watching closely. “Lee” Garnsey asked the Bear Valley Mutual Water Co. in 1929 if it would be possible to purchase land along the North Fork ditch of the Santa Ana River to establish another hatchery. The late 1920’s experienced a drought and Garnsey was looking for a site with more available water. Steelhead trout were propagated in the hatchery beginning in 1931. George Isaac, fish culturist, planned to raise 5,000,000 steel head for the Mentone resort and half would go to the other Garnsey San Gabriel fishing grounds. The Redlands Facts of 1931 reported that the café and lodge might close due to the Depression. Leigh Garnsey, 55, died March 1, 1938 two days before the 1938 flood. He was seated in a lounge chair in front of the fireplace in the lodge and suffered a heart attack. His obituary revealed he owned another hatchery in San Gabriel Canyon near Azusa. His last home in Redlands was 705 West Highland. He was a resident of Redlands for 19 years. Mill Creek flooded March 3, 1938 and the pipeline bringing water to the hatchery was breached. Sand and mud filled the ponds and trout stream. The fish were all gone and only the buildings stood above the rocks, sand and mud. The road that brought fishermen into the Rainbow Ranch was now a ten-foot deep cavern of water from the highway to the entrance. Leigh Garnsey, Jr. took over the fish hatchery after the death of his father and the flood. He decided to close the struggling resort and supply the State Fish and Game since the state lost their hatchery in Forest Home. In 1947, Fred, Leigh and Mrs. Leigh Garnsey reorganized the Rainbow Ranch with a new name called California Trout Company. This Garnsey Company continued selling trout to the state which stocked local streams into the 1950’s. Leigh Garnsey and the California Trout Company supplied twelve southland angling clubs by 1949. His 40 x 60 foot pool was modest compared to the Rainbow Angling Club pool that was damaged in the 1938 flood. The big customers were the Rainbow Angling Club of Azusa, Cuyamaca Reservoir and the streams near Bishop. The company was operated by Fred Garnsey, his brother, Roy Wiles, Ben Burkhart, and Burl Oaks. Their hatch was from January to May each year. May 1 was always “Biggest Fish Day.” The Mission Inn and Antler’s Hotel in San Bernardino bought fish for their dining rooms weekly. Tad Garnsey blamed better state stocking of Mill Creek, Santa Ana River and Jenks Lake for a business downturn in 1950. Still fisherman came from San Bernardino, Pomona, Los Angeles and Long Beach to catch the rainbows. The California Trout Company was under the management of Stanley B. Schwartz in 1965. The February winter storm of 1965 brought mud and sand to the ponds again. Once again the Edison pipe line ruptured and Schwartz was forced to pump fresh water from nearby Mill Creek to keep his 100,000 Rainbow alive. The mud filled ponds covered the trout resulting in gills filled with silt and slow death. The second blow to the California Trout Company besides the 1965 storm involved the City of Redlands and the Mill Creek water owners. The city refused to extend the water use permit fearing contamination from the hatchery fish. In 1926, the City of Redlands built a $30,000 filter plant to process Mill Creek water for drinking. The system was part of a $525,000 water system that included the purchase of Old San Bernardino water rights from Zanja owners that dated from 1853. City engineers and filter plant employees thought the renewal permit to the California Trout Company was inappropriate considering the City of Redlands citizens drinking the water. Since the death of Leigh Garnsey the fish were fed the cheapest food available and this could threaten the water quality. Stanley Schwartz brought suit against the city and Crafton Water Company. He was joined by home owners along the Mill Creek Zanja east of the Greenspot store. Crafton Water Company intended to pipe water to the Crafton reservoir rather than send the water down the 1819 Zanja to the old reservoir diversion. This would mean a dry Zanja and homeowners felt the abundant trees along the banks would die. Schwartz had other problems as well. He was behind in lease payments to use Edison land and water company water. The City Council prevailed in the suit to deny an extension on the hatchery permit. The City of Redlands annexed the parcel of land previously occupied by the California Trout Company in 1968. The January and February flood of 1969 washed the area clean of any hint of the fish hatchery. A dirt road crosses the present Mill Creek and only postcard reminders of the Rainbow Angling Club remain of the history that began there in 1919. The height of the angling club fad was certainly the mid-1920’s. The last developed hatchery and fishing club was the Grady Gullidge Dolly Varden Angling Club which began in 1926. This angling club occupied the former 1888 homestead of John and Clementine Skinner. When they passed they left the property to their daughter, Kate Harvey. Harvey managed a half-way house that provided food and temporary housing for vacationers that were proceeding to Seven Oaks or Bear Lake. When the San Bernardino County completed the Mountain Home stretch of the Rim of the World Highway, in 1914, her property, along with nearby Igo’s became the control station that regulated the flow of traffic into the single lane mountain thoroughfare. During the Kate Harvey ownership one of the most significant water cases Cave v. Tyler 1897-1902 fought over the water rights of Mountain Home Creek and Skinner Creek. Kate eventually sold the land and the Dolly Varden Club formed and began planning a $150,000 trout hatchery in 1926. The club was born in controversy. Walter Hartzell, city attorney for Redlands and George Hinckley, city engineer for Redlands, investigated the building of the hatchery underway. Water for the hatchery was owned by Mill Creek water owners since 1853 and they completed a five year suit in 1902 on land linked to that expensive suit. The City of Redlands is a major stock holder in the Crafton Water Company and purchased the Old San Bernardino 1853 rights in 1925 for $525,000. The attorney and city engineer met with R. A. Garrett, since the promoters of the project were not available. Evidently, Redlands never sued to stop the development of a third hatchery impacting their drinking water. By late March 1927 enthused sportsman heard that the Dolly Varden Club was nearly completed. Six buildings including a lodge, hatchery, manager’s office, employee’s quarters, manager’s residence and a store were under construction. Cooling and cleaning operations were adjacent to the manager’s office. The Swiss Chalet lodge later called Campbell House was the most fascinating of all the structures measuring 57 x 65 feet built on a high bluff overlooking the canyon. The spacious seven foot veranda extends around the building commanding a view of the stream and fishing pools. The lounge within the lodge was conspicuous for size and luxury with a huge fireplace, high ceiling, burned wood finish, and maple dance floors. The lodge alone cost $10,000. Bungalow cabins were also available. The grounds were planted with Kentucky blue grass with walkways lined with concrete cobblestone walls. Eight pools for fishing had grills with canopy-covered tables and the store provided groceries to round out the meal. Grady B. Gulledge, Los Angeles, was the general manager of the enterprise and R. A. Garrett resident manager. Applications for the Dolly Varden Club opened April 1, 1927. The Dolly Varden brochure advertised plenty of entertainment choices. Croquet, tennis, horseback riding, badminton, swimming, archery, deer hunting, dancing, dining, shooting and hiking were all listed on the map. A fly fishing lake and the eight fishing pools were found throughout the 160 acre property. Rates for the Dolly Varden Club was based on the American Plan for $10 singles and $8 doubles and the European Plan of singles $5 and doubles $6. Trout dinners with all the fixings cost $2.75 and chicken dinners $2.50. Real Estate men reported to Ralph Swing that the club income was $8,600 annually. The Dolly Varden Club succumbed to the Great Depression and stiff competition for the Rainbow Angling Club and Pine Springs Trout Company. State Senator, Ralph Swing of San Bernardino purchased the property in November of 1930. The plan was to have the state purchase the hatchery and improve production by investing $20,000. The State purchased the Pine Springs Hatchery instead because Mill Creek had plentiful and colder water than Mountain Home Creek. By 1940, the property was in receivership and purchased by William and Kitty Peeling for only $7,300. The Dolly Varden Angling Club began a rebirth in July 1949 with the formation of a new club by William B. Peeling and his wife Kitty B. Peeling. They planned to operate the club. The new club president was movie star, Edward Arnold. The press took a tour of the facilities in a woody station wagon and viewed the dining room, dancing area, fishing ponds, riding horses, and new pool. 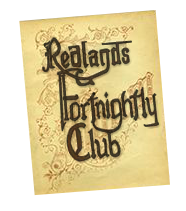 Redlands men joining the club were Fred Gowland, Dave DeRoo, Harold Winn, Wilson Spoor, Dr. Lawrence Heim, Frank Loge, Robert Lowry, John Pike, William Yount and Dan McLeod. The club sputtered along for only a few years. Disciples of Christ, Southern California Christian Churches renamed the property Loch Leven and purchased the camp in 1956 for $116,000. The 1938 and 1969 flood did substantial damage to most of the ponds filling them with sand and debris. The Swiss Lodge and several of the buildings from the Dolly Varden days remain. All the Kate Harvey improvements were destroyed in the 1916 flood. The cherry trees and apple orchard that John Skinner planted in 1888 died in the drought of 1898-1903 especially when Cave v. Tyler was decided in favor of the Mill Creek water owners over the descendants of the Skinner family. The Fish and Game Commission under the direction of the County Game Warden, W. C. Malone had an aggressive stocking plan for the 1920’s. Newly completed roads into the mountains brought thousands of cars and buses. Recreation camps in Barton Flats, Santa Ana Canyon and Big Bear all relied on fishing as the main mountain attraction. In 1921, 700,000 trout were planted in Big Bear Lake. The Santa Ana River received 100,000 trout. State fish hatcheries produced 28,000,000 trout in 1923. The state sold 180,000 fishing licenses and raised the daily limit to 25. “Fish hogs” amassing more than the limit were severely fined for selfishly destroying the sport for others. In 1923, Big Bear Lake was stocked with 1,150,000 fish. The upper Santa Ana River found 90,000 trout in the stream; Forsee Creek received 4,000; Deer Creek 12,000, Keller Creek 7,000, lower Santa Ana 14,000, Mill Creek 45,000, Mountain Home Creek 11,000 and East Fork of Mountain Home 11,000. Mill Creek proved a valuable source of fish with the three fish hatcheries in the 1920’s. The creek has a never ending flow of cold mountain water but unfortunately the canyon is subject to devastating floods in both the summer and winter. Redlands benefited from the nearby hatcheries but was critical of the perceived water quality issues that the hatcheries posed. Ultimately the last hatchery was closed by Redlands and not the 1965 flood. The Redlands Daily Facts presented the history of the Bear Valley history in 1922. This remaining hatchery that once fed both Mill Creek and the tributaries to the Santa Ana River was built at North Creek in Big Bear. The Southern California Trout Association wanted a fish hatchery that would first and foremost stock Big Bear Lake. In March of 1914 Gus Knight, John Fisher, and Frank Rathbun suggested a hatchery in Bear Valley at North Creek where the mountain stream fed the reservoir each spring and trout spawned in the stream. North Creek along with Metcalf and Grout Creek all dried up during the summer and while they flowed each spring the streams carried large amounts of sand that buried the fish eggs before hatching. The North Creek hatchery trapped the spawning trout and milked the fish for their eggs and kept them until the fish fry were large enough to survive in the lake. The operation due to lack of water remained small but trapped fish for egg collecting. By November the San Bernardino Trout Association planned a $1400 hatchery at Greenspot with the capacity of four million trout annually. The enthused members now included Gus Knight Jr., A. G. Kendall, Grover Cooley, Will Starke, Kirke Phillips, Henry Willis, Dr. J. N. Baylis, Fred Drew and Max Green. The trout association wanted 700 members to each donate $2 to pay for the construction. By February of 1915 the trout association property was leased to the County of San Bernardino that turned everything over to the California Fish and Game. Greenspot Hatchery was located on the eastern edge of Bear Valley at Greenspot Springs. The springs are fed by water from Sugarloaf and Onyx Mountains. The Trout Association built a hatchery with the capacity of 1,000,000 trout. E. W. Hunt, the manager of the Tahoe Hatchery, took the reins on the new hatchery. Hunt continued trapping spawning trout on North Creek and Grout Creek and delivered the eggs to modern fish troughs for 1,500,000 fry. Greenspot Hatchery distributed 170,000 trout to Big Bear Lake by July 1915. The completion of the Rim of the World Highway sent trout all over the mountains with upper Santa Ana 21,000, Deep Creek 9,000, Shay’s Meadow 3,000, Deep Creek 30,000, Bear Creek 30,000, Huston Creek 25,000, Seeley Flat 5,000, Dark Canyon 10,000, Devil Canyon 10,000 , Lytle Creek 20,000 and Mill Creek 60,000. Cans of trout were distributed by mountain resident volunteers under the direction of Lyman M. King, State Senator representing the area. William H. Glass, the proprietor of Seven Oaks dumped fish into the Santa Ana, Barton Creek and Forcee Creek. Frank Culver, the manager of Forest Home Outing Company, dropped trout into Mill Creek with the help of contractor Garrett Huizing. Some 66,000 fish would have from October 1915 until May 1916 to grow and repopulate these streams. Trout in Bear Valley caught spawning in North, Metcalf and Grout Creeks were milked at the Greenspot Hatchery in the spring of 1919. Fish produced at Greenspot were planted while still quite small. An effort to enlarge the Greenspot Hatchery was opposed by Fish and Game. State officials favored a much larger hatchery in the Owens Valley that could supply fish to the eastern Sierra as well as the Transverse Range. Greenspot Hatchery brought 386,000 fry to Big Bear Lake in 1917 and 120,000 Rainbow for the Santa Ana River. Each creek averaged 10,000 trout for 1917. Greenspot began to experience problems in 1928 when the usual spring that produced 57 inches of water dropped to 15 inches and in 1929 to 8 inches. Greenspot lost 120,000 trout due to the drought and lost the confidence of the State Fish and Game. The drought of the 1920s brought new problems for the fish in Big Bear Lake. The lower lake level warmed the water and produced a massive weed problem in the lake. Biologist Carl Wilson noted the lack of oxygen in the water was killing the trout. Colder weather in the late fall reduced the fish kill. The low level of the lake prompted Bill Knickerbocker, chairman of the Chamber of Commerce in 1921 to remove refuse accumulated since 1884, weeds and stumps. Bass were planted illegally in Big Bear Lake in 1921. Fish and Game offered a reward to fine those responsible. The bass flourished in the lake and consumed an unknown amount of fry that were stocked and played havoc with the natural reproduction in the spawning creeks each spring. Mud flows closed the Bear Valley Hatchery in 1932. Stream gravel always impeded the natural trout reproduction on the streams that fed Big Bear Lake. The winter of 1922 brought the Bear Valley reservoir nearly to the top which ended the oxygen problem in the lake. County road improvements, better automobiles, resort hostelries, and good economic times of the Roaring Twenties brought thousands to the mountains for recreation. San Bernardino County formed a water conservation district that improved Jenks Lake and created another lake called Tu-lakes in Barton Flats. The conservation district was carrying on the work of the Tri-Counties Reforestation group that began water spreading in 1907 to recharge the underground basin in the San Bernardino Valley. A one-mile long flume was built a quarter mile above Jenks Lake that followed a contour past the present Redlands YMCA camp to a natural valley in Barton Flats. The idea was that water spreading in the mountains during wet years could improve flow in the Santa Ana in the dry years. Eventually a YMCA camp called Tu-Lakes was built in Barton Flats near the flume divide that filled both Jenks and Tu-Lakes. The improved Jenks Lake was dug deeper and a new dam constructed. Fish and Game began stocking the lake. Organization camps that huddled along the Santa Ana River began to request special use permits to build camps closer to Jenks Lake. The lake offered fishing and boating recreation opportunities that the river did not. Eventually the 1938 flood damaged most of the camps along the river and the Forest Service encouraged a mass movement to the Barton Flats Recreation area specifically for organization camps.